The Wii U announcements are coming thick and fast these days. 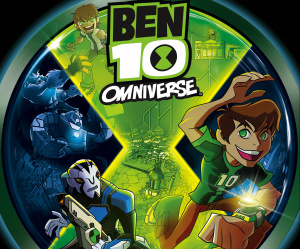 Last week it was Marvel Avengers: Battle for Earth and Cloudberry Kingdom; this week it's Ben 10: Omniverse. D3Publisher's next outing for the boy with multiple personalities will reach every current Nintendo format later this year, with development on the home console versions headed up by Matt Hazard studio Vicious Cycle. As you'd probably expect it's an action brawler kind of deal, with 13 playable alien forms and two-player co-operative modes, which could make interesting use of Wii U's controller set-up. It's not out until the fall but, then again, neither is Wii U.
Oh dear... still has the kiddy games... which might mean shovelware, oh joy. don't worry, it comes out for wii, ps3, xbox360, ds, and 3ds as well. it seems they are shoveling it on to whatever they can. @Jamouse Kinda young to qualify, don'tcha think? @LEGEND_MARIOID Agreed. The original art style was fine. Did they get a new animation team? @Jamouse Kid and teen Ben just look so damn creepy. Those eyes are freaking me out. What the hell is wrong with that drawing? it looks absolutely atrocious,i stopped watching Ben 10 after Alien Force ended and i'll start watching Ultimate Alien soon(especially since i've heard it's more serious than the other two). But this is just painful,just looking at that picture,what is wrong with Teen Ben? he looks like a generic anime character. Even though i am a fan of the other shows i'll probably skip this unless the game looks better and obviously the gameplay is better. Wii U best launch game. The new art style is meant to mirror the latest Ben 10 series, yes a new one is starting soon. I agree that it looks off, it's still better looking than that awful CG movie. I'm a sucker for Ben 10, so I'm sure I'll pick this up eventually. I like Ben 10 cartoon. I think it will be neat and fun to change into different aliens with different powers. What an ugly new art style! =/ ive seen more than enough cartoonetwork games to see where this is goin. I bet this game is going to fall hard on its face.Yet somewhere out there,you know a whole bunch of kids are getting there parents to buy these games because CN never stops making games no matter how horrible they are. The one and only CN game i found slightly enjoyable was billy and mandy for wii.And even that game wasnt original. It was a complete knock off of power stone. I stopped liking Ben 10 at Alien Force. 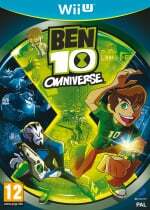 Ben 10 was the reason I started to wonder: "What's happening to cartoon network?" And the fact that it's also coming to the normal DS is making me think the wii U version will be worse.